Bluetooth (Bluetooth) is a kind of wireless network transmission technology originally used to replace the infrared. Compared with infrared technology, Bluetooth can transmit data without targeting, transmission distance is less than 10 meters (infrared transmission distance of a few meters). In the signal amplifier with the help of communication distance and even up to 100 meters. Bluetooth technology is ideal for low power consumption of digital devices to share data with each other, such as mobile phones, handheld computers. Moreover, Bluetooth devices can transmit sound, such as Bluetooth headsets. Widely used Bluetooth specification version 2.0, mature, bandwidth is about 3Mbps very suitable for small file transfer (10MB below pictures, ring tones, e-books, manuscripts, etc.) to facilitate and speed have both. Please note: Many of these modules have been found to have the same Bluetooth address. If you're simply trying to connect from your computer to a cell phone or headset, these will work great. If you're attempting to attach multiple modules to a computer, the computer will not be able to address both modules at the same time. PC / Mac: Bluetooth Human Interface (Bluetooth mouse and Bluetooth keyboard) * Bluetooth serial port with the computer, microcontroller, Basic Stamp 2, DF-Bluetooth Bluetooth module, Roboduino or Arduino controller connection, to achieve Bluetooth wireless remote control. 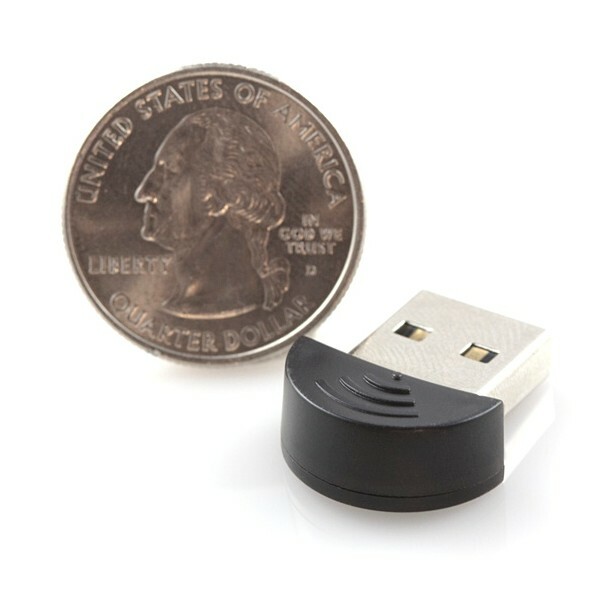 Get Bluetooth Adapter (SKU:TEL0002) from DFRobot Store or DFRobot Distributor.